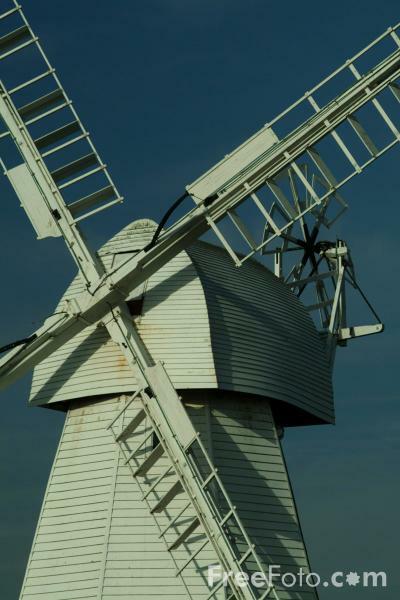 Picture of White Mill Windmill, Kent, England. White Mill is a smock mill which retains its original wooden machinery and was restored between 1960 and 1961 by millwright Vincent Pargeter. VIEW: More images from the category Windmill, Kent, England or around the same time .